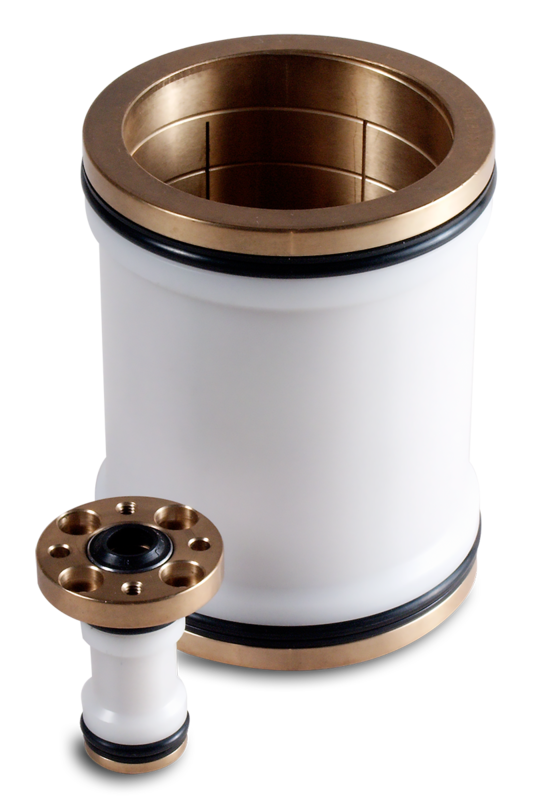 Hydraulic Squeeze Bushings | Advanced Machine & Engineering Co.
Made from high quality alloy bronze or spring steel with a special plastic molded over the slotted squeeze surface. 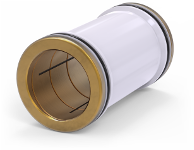 Hydraulic pressure acts upon the molded sleeve, compressing the bushing radially over the entire length between the seals. This squeeze action locks the shaft to the bushing without introducing any shaft movement. Very accurate clamping for fixture and machine tool applications. Built for hydraulic pressures of up to 5,000 psi (340 bar) depending on diameter. Contact us for high pressure applications of 10,000 psi and up. Designed to resist axial forces only. 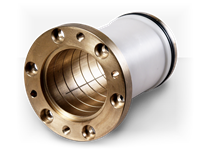 Commonly used in fixturing and reciprocating shaft applications. Designed to resist torque and axial forces. Mounting cap designed with dowell pin hole(s) for position accuracy and extra torque resistance.